This summer has been far from boring with an inspiring Japan adventure (well-documented on my Instagram feed), a bunch of new projects completed and others still in production or under wraps. 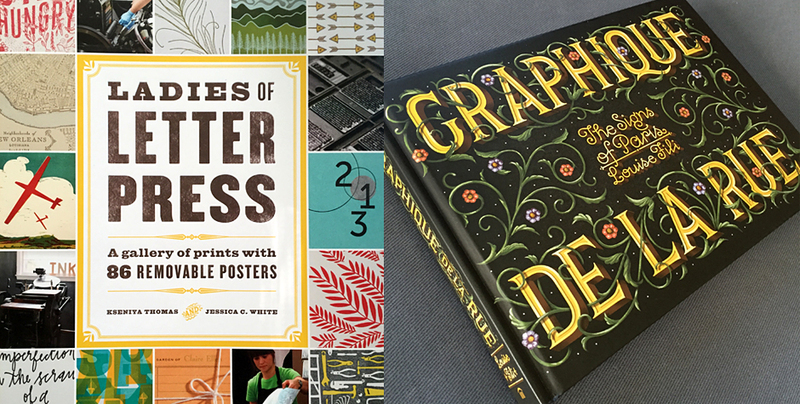 In the meantime, there's always some great reading to be had and here are two excellent design books worth sharing! 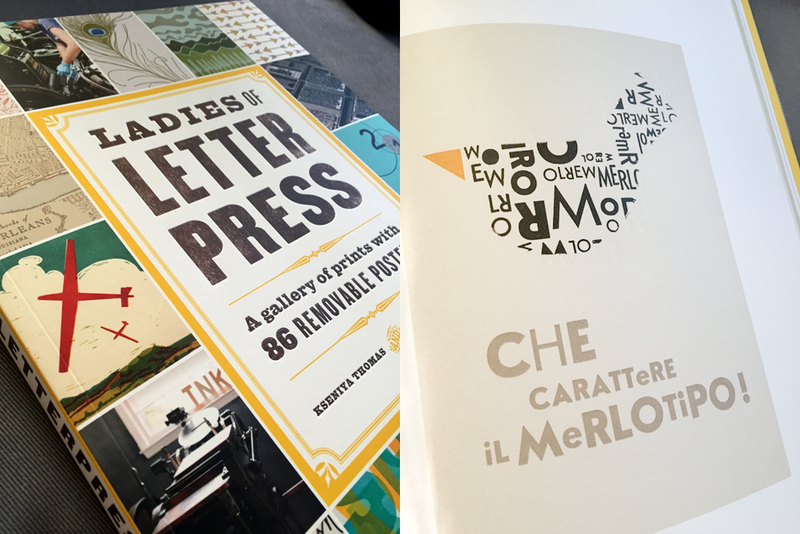 Letterpress has historically been a male-dominated art form concentrated on a combination of paper, ink, wood or metal-cast type and heavy mechanical printing presses (with much of the dirty, laborious post-environmental print work maintained by hand). A new generation has continued with those same kind of machines, using modern technologies of polymer plates in tandem with digital software, and led by a younger, female leadership. Ladies of Letterpress by Kseniya Thomas & Jessica C. White (Princeton Architectural Press), is a stunning collection and celebration of the best letterpress art, illustration & design from members of an international organization championing the work of women printers (whose name adorns this book’s title). Packed in 11” x 14” space, complete with 86 removable posters, this high quality book serves to inform and inspire with detailed letterpress reproductions in all its numerous forms. From the typical broadside poster designs, to invitations, packaging, business cards, coasters, and gift tags, the almost 200-pages of printed delights definitely proves that print design is FAR from dead, and that crafts(wo)manship is very much alive and keeping very well. 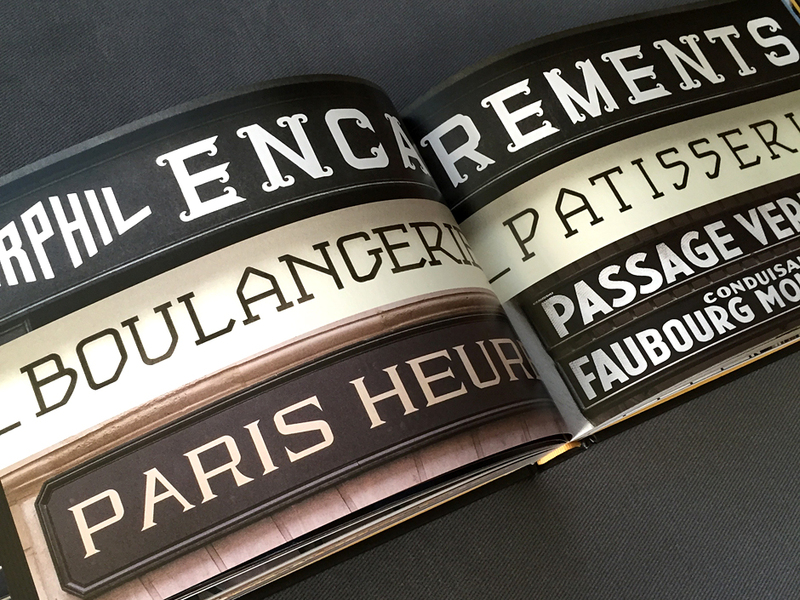 Graphique de la Rue (Princeton Architectural Press) comes from the well-travelled and decorative design eyes of New York-based Louise Fili. 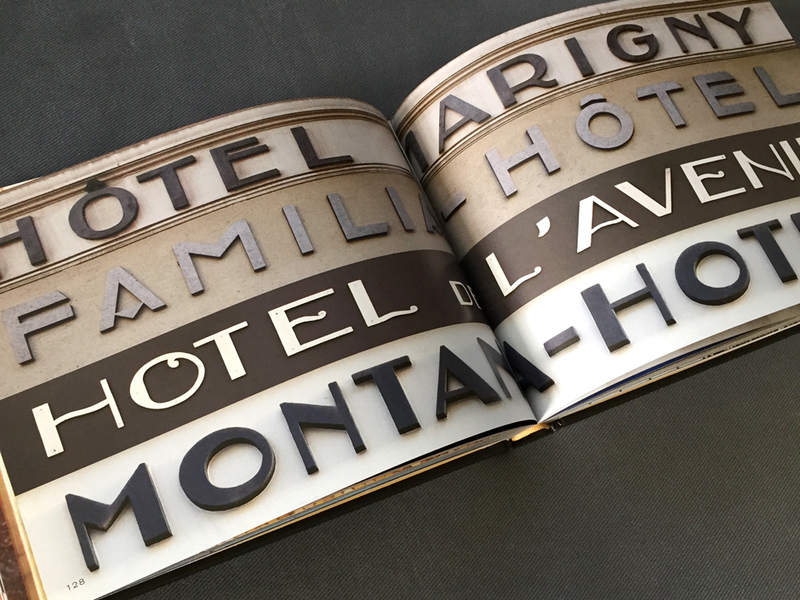 As lovingly shared in the book's Introduction, she has diligently travelled throughout Europe over the past 40 years, with camera and tripod in tow, passionately building a visual archive of dimensional, carved and painted typography crafted on 20th-century buildings and older. 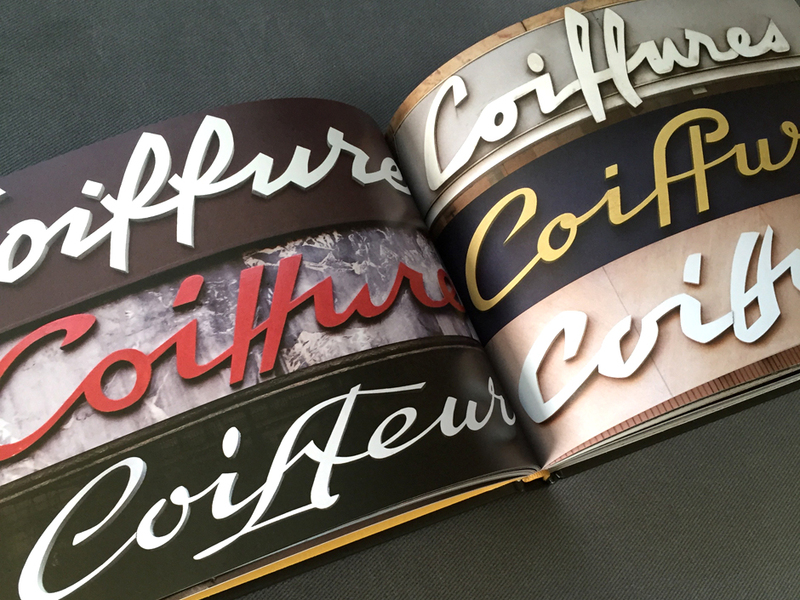 Previous books devoted to Script, Shadow, Stencil (these first three co-authored with her equally talented art director/author husband, Steven Heller), Italian (“Grafica Della Strada: The Signs of Italy”) and now French typography provide a vast historical document of lettering in all its forms. Elegant gold-left scripts, classic neon, intricately colourful mosaics, to molded metal and carved into stone, the range of works—many created by hand—are endlessly vast and breathtaking. The book design itself, is equally crafted and elegantly designed by Fili and her team of super-talented designers including Spencer Charles & wife Kelly Thorn (who also illustrated the gorgeous cover!) and Nicholas Misani. Each section is broken into categories (e.g. Scripts, Mosaics, Art Deco) with its own introduction (meticulously researched, one would assume) that is equal parts art history lesson, French class and travel guide or walking type tour commentary. The book concludes with a brilliant listing of every photo name and location address, some additional photos with larger crops and extra background notes about the building’s history, facade or neighbourhood. A lovely bonus as a result of Louise’s numerous trips, are a few before and after images of signage that ended up changing with new ownership or replacement parts—and rarely for the better. 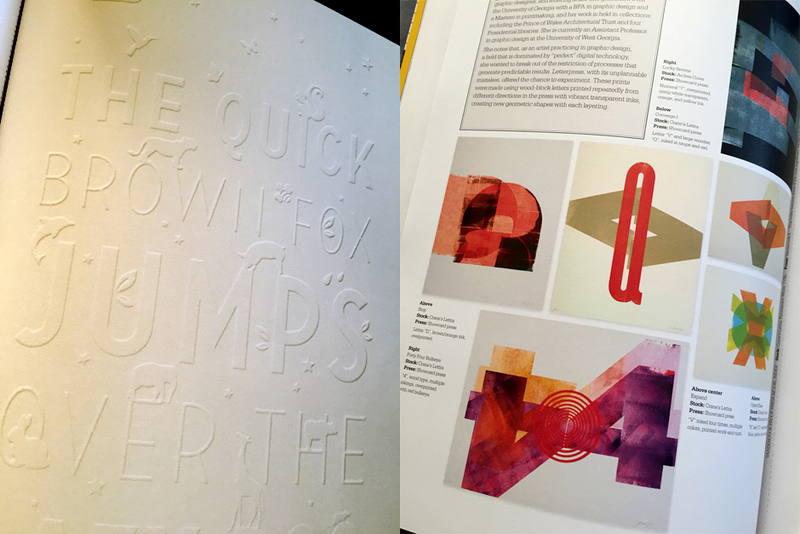 Next on my reading list is the highly-anticipated debut by Jessica Hische, "In Progress: See Inside a Lettering Artist's Sketchbook and Process from Pencil to Vector" (Chronicle Books) that I am absolutely drooling over! Full of her beautiful pencil sketches, Jessica walks readers through her process of designing with handdrawn type, including the tools, techniques and creative rationale behind some of her biggest profile projects (Wes Anderson, NPR & Starbucks). Flipping through my copy, I would already want to give it a 5/5, but in all fairness I must read it cover to cover, as I do all my recommended reading. :-) So until next time, keep reading & keep creative! Review: So you want to Publish a Magazine? No news is new news + Book Reviews!